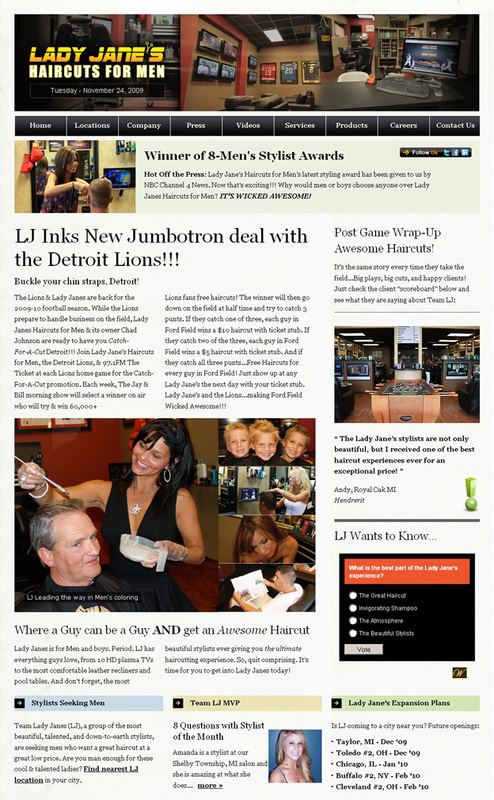 Lady Jane’s Haircuts for Men | RDX Solutions, Inc.
Project Description: Lady Jane’s (LJ) Haircuts for Men, an extremely fast growing hair salon chain based out of Detroit, MI, is setting a new standards in men’s haircare industry. LJ was frustrated using an off-the-shelf Point of Sale solution for managing their sales, stylist payouts, client check-ins and reporting. They needed a system that operated at the speed of their corporate growth. This is where RDX Solutions came in and created a fully customized, database backend, Point of Sale system from scratch. 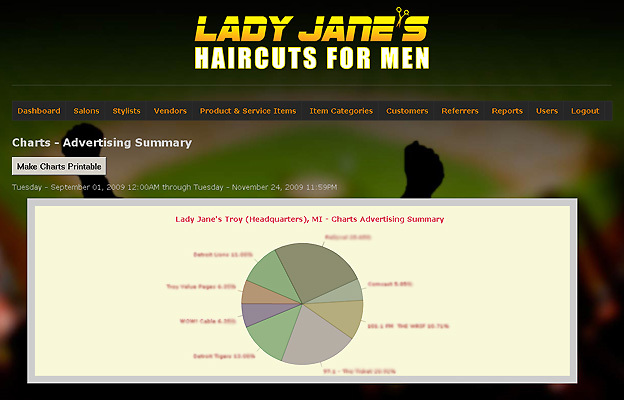 This database system allows for LJ customers to check-in and pick a stylist of their choice, stylists to manage and checkout customers, and management to see real time data, manage salons, stylists, and inventory all at the same time. In the midst of working on this Point of Sale system, LJ was so happy with our services that they requested us to renovate their website as well. RDX Solutions provided LJ with a self-maintained content management system with intuitive user-interface to allow them to maintain their own web content, reducing overhead cost of going back-and-forth with a web development company to make changes for them. 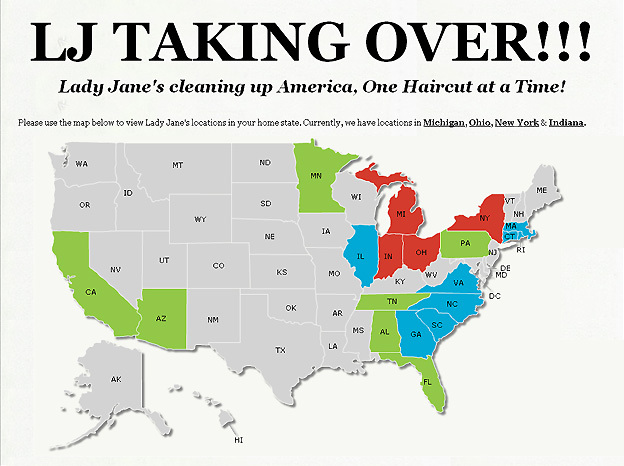 You can see the results for yourself by clicking their site link provided below!